Playas del Coco offers some of the best water activities. Playas del Coco offers snorkeling, fishing, and scuba diving. Playas del Coco offers a healthy life style for those who are into yoga or just wanting to eat healthier food. Buying a Home in Playas del Coco can change your life. KRAIN Real Estate is locate in Playa Ocotal, which right next to Playas del Coco. Come Visit us today and change your life forever. Invest in your happiness and Costa Rica Real Estate. 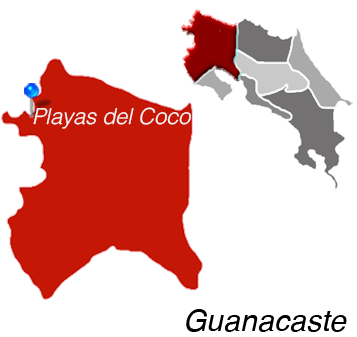 Playas del Coco (or Coco Beach) differs from its Guanacaste neighbors in a few ways. First, its waters are notably of a blue-gray tint, rather than the typical blue-green tint of the neighboring waters. Second, the area has a certain laid-back feel to it when compared to others areas in Guanacaste, making it a favorite among ticos, families, and retired expats who dream of living out a Jimmy Buffet lifestyle. Coco Beach was, for decades, a working fishing village that was frequented by vacationing, middle-class ticos. However, in recent years, there has been a surge of vacationing Americans and Canadians that have allowed the various restaurants, sports bars, casinos, discos, and shopping in the area to flourish. People come from miles around to do their souvenir shopping among the many shops in Coco Beach. During the high season (late November-February), the town’s nightlife and party-seeking attitude takeover, and there is no shortage of fiestas for those looking for excitement. 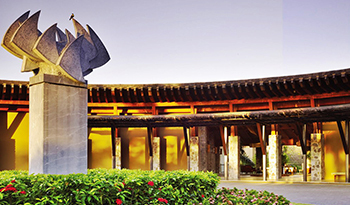 In short, Playa del Coco has built solid tourism infrastructure within its village, and it is one of the most frequently visited locations in Guanacaste. The waters offshore Coco Beach are home to some of the most dramatic ocean scenery in Guanacaste. The coastline is abundant with calm, pristine bays, tiny islands, and dramatic cliffs. Underwater, you will find tropical fish, giant manta rays, sea turtles, white-tipped reef sharks, and even the occasional whale shark. Several scuba diving shops exist in Playa del Coco to satisfy the many tourists coming to see “big game” wildlife. The visibility can be limited, but the limited visibility indicates abundant nutrients in the water, supporting such “big game” wildlife–like the bull shark and whale shark that wow tourists year after year. If sailing is more your style, Playa del Coco offers morning snorkel trips and sunset sails at very affordable prices (from as low as $70/person). Such tours include the Sea Bird, a 45-foot cutter-rigged ketch, the 43-foot Spirit of the Ocean, the 47-foot Kuna Vela, and the 65-foot catamaran Marlin. For sportfishing in Playa del Coco, Blue Marlin (2670-0707 or www.sportfishingbluemarlin.com) offers fishing for snapper, grouper and mackerel, along with more big-game fish such as marlin, sailfish, and dorado. Further, the town is anxiously awaiting the development of a luxury marina for the yachting and sport-fisherman. Still, it is uncertain when this development will be completed. For those who enjoy more “turf” than “surf,” Playas del Coco’s Haras del Mar Equestrian Center is a big draw for residents who own horses or enjoy horseback riding. Some of the best places to enjoy a cocktail with oceanviews are Café De Playa and La Vida Loca. La Vida Loca is accessible by bridge from the parking lot to the area of the beach on which La Vida Loca is situated. La Vida Loca is owned by a German expat who serves up delicious German food (including schnitzel and bratwurst) on Sundays and caters mostly to the baby-boomer crowd.